As you may already know, I recently became a solo-preneur (full time writer, speaker, and consultant). And on that journey I immediately looked online for a community to help me navigate this new office-less and coworker-less world as a young woman especially. 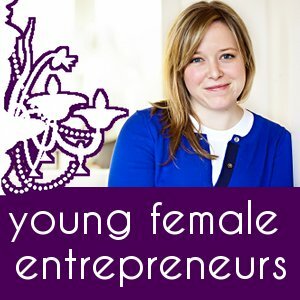 With the help of Google, I immediately found www.YoungFemaleEntrepreneurs.com. They had a Facebook book club, a Twitter chat, and a TV show! I was amazed that exactly what I was looking for existed! And it's founder, Jenn Donogh is a community college graduate. Jenn graduated high school in 2003 and was the first in her family to go to college. Her parents did not push her at all, but she felt this overarching pressure towards college. She took all of the necessary prep tests and applied to the University of California, Santa Barbara. But one day, she just started crying in her room; she was so stressed. Her mom walked in and said: "Do you really want to do this or do you feel like you have to?" It was in that moment Jenn realized she really didn't want to move away and attend a large college. So instead, she enrolled at Bellvue Community College (now called Bellvue College) and won enough scholarships to cover her first two years completely. While in community college Jenn joined the Model UN club and fell in love with studying political science. “I just studied what I was interested in.” And that worked really well for Jenn. She loved her classes at BCC, and eventually transferred to earn her BA in Political Science at the University of Washington. "My transfer experience was effortless. BCC really did a great job of preparing me for everything." Jenn finished college a year early and spent some time exploring: "I really liked politics, but had no idea what I wanted to do with politics." "Isn’t that the hardest question? Actually figuring out what you want to do with your life?" Jenn got married when she was a junior in college, and after returning from a honeymoon backpacking trip across Europe, she decided to become the Director of Operations for Ovaleye Cloud Services, her parents' web hosting business. The idea had come to her randomly on a paddleboat in Prague, and when her parents casually approached her with the offer, she knew it was what she wanted to do. So what about Jenn's political science major? Is your major a "waste" if you don't get a job using your major exactly? Absolutely not. "Studying political science gave me an informed worldview, and what I really studied was the idea of bringing people together and working together to create something for the greater whole." "My major has benefitted me in building a business and building YFE. The college experience teaches you how to sit at a table and talk, debate, and speak intelligently with people. It builds confidence and teaches you how to work with people, something vital in business." "I love being able to help create change. It sounds kind of silly, but I really feel like if I were to have gone off into the political route I don’t feel like I would have been able to help as many people as I am now. I have found I love helping people get a website off the ground that helps them create their business fulfill their passions." Indeed, choosing your major is often separate from choosing your job. Because how would you know you loved helping people build their business websites if you've never tried it before? Jenn was so grateful for the opportunity she was given with her parents' business, and started YoungFemaleEnrepreneurs.com as a way to give back, a "passion project." Using your free time to develop a side project like this is no easy feat; in addition to her full time job Jenn is also a wife and mother. Jenn is a great example that "I'm too busy" or "I would if I could" or "Maybe one day" are just excuses. It can always be done today if you really want it. Jenn's parents were mentors to her, and it is her hope that YFE can provide that same mentorship to other women, free of charge. Jenn doesn't make any money from YFE - it is truly her way of giving back and building community. And I believe she is building online community in one of the most unique ways I've ever seen (i.e. book club, twitter chat, and TV show). Jenn's advice for college students? "Take time to figure out what you’re good at and what you’re interested in, and match your interests and strengths when looking for that first job; understand what you’re good at, what you’re passionate about, and what you want out of life. Spend time on yourself, learning about yourself. And with every experience, build confidence." You can check out Jenn's blog and follow her on Twitter.